In my fifth Sherlock Holmes novel, I send Sherlock Holmes and Dr. John H. Watson off to the Forbidden City, in 1907. What sparked the idea to send them so far away, to a place Britons then thought of as the most mysterious city on earth? My first novel was set in the English countryside during the reign of King Edward V11, but later settings include Serbia before the First World War - the country was then part of the Austro-Hungarian empire ruled by the Hapsburgs, an empire at the time in decline - and in Sherlock Holmes And the Sword of Osman, ‘Stamboul’, Istanbul, capital of the crumbling Ottoman Empire. 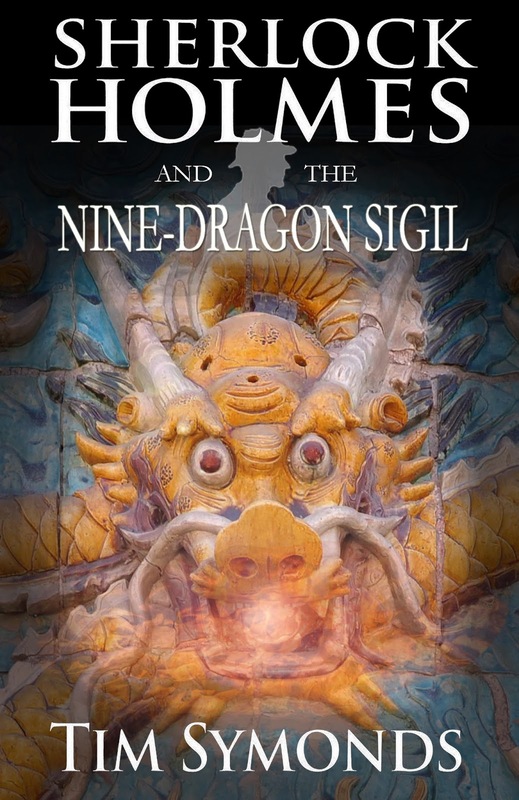 Sherlock Holmes and the Nine-Dragon Sigil also takes place in a vast old Empire, the Qing or Ch’ing, at the start of the 20th Century when, as the Chinese say, Heaven was withdrawing its mandate. So, you can see setting it in China followed a pattern in my previous novels where great empires – the Ottomans, the Hapsburgs – were in sharp decline. My choice of Peking as a setting was influenced by reading Conan Doyle’s The Adventure of the Empty House where Sherlock Holmes tells Dr. Watson: “I travelled for two years in Tibet, therefore, and amused myself by visiting Lhassa and spending some days with the head Lama”. This mysterious period is Holmes’ life is known to readers of the Arthur Conan Doyle canon as The Great Hiatus. Whilst Holmes was in Tibet, everybody back home believed the famous detective had died in the clutches of the evil Professor Moriarty at Switzerland’s Reichenbach Falls. I wondered: could a heavily disguised Holmes have gone beyond ‘Lhassa’ (Lhasa), following in the footsteps of Marco Polo all the way to the Middle Kingdom? Choosing a setting so far, and so different, from Holmes’ European haunts allowed me to push his deductive powers to the limit – a detective is far better able to interpret the clues back home, in familiar surroundings than when everything is foreign to him. Indeed, in the Forbidden City Holmes comes close complete failure. I would even say this is just about the closest he came to failure in his career! However, he won through in the end, and caught his criminal. To find out how, you’ll have to read my novel, but here’s a clue: Holmes deploys his famous photographic memory to help him solve the case. 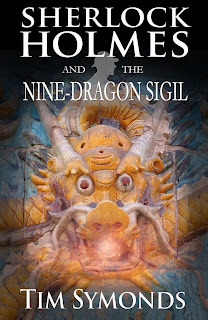 Details: Sherlock Holmes and the Nine-Dragon Sigil is published in eBook by MX Publishing. They also publish Watson's Afghan Adventure, by Kieran McMullen, in which Watson explains how a treasure map brought him to Afghanistan.